This pair of RGB LED fog light bulbs is designed for accent lighting and show purposes; the brightness is secondary to its primary function of color-shifting. 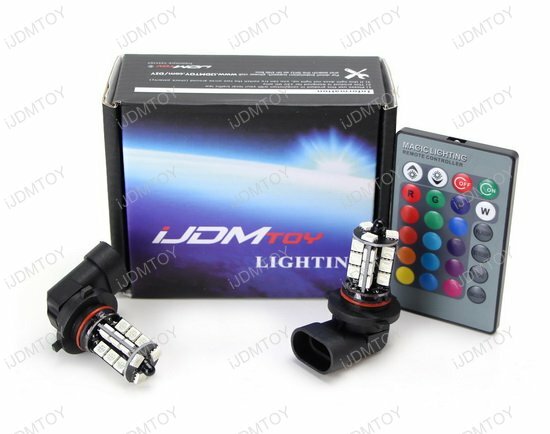 Q: What is the voltage of this RGB LED bulb? 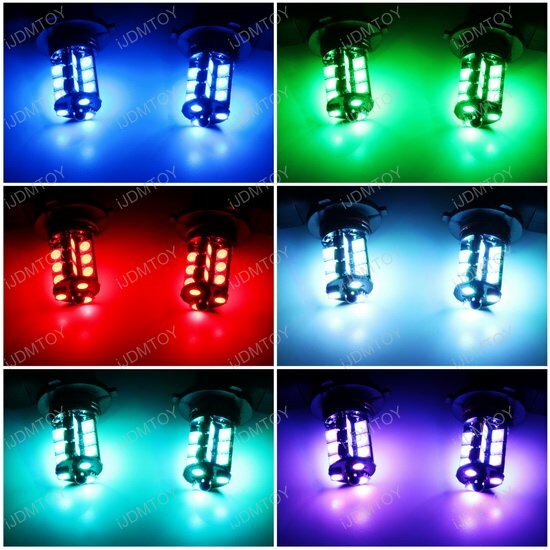 A: This RGB LED bulb will work from 9V to 15V. 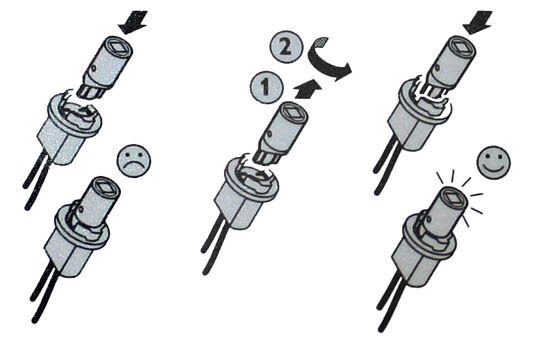 Any voltage below 9V will not power up the bulb and the voltage above 15V will burn this bulb. 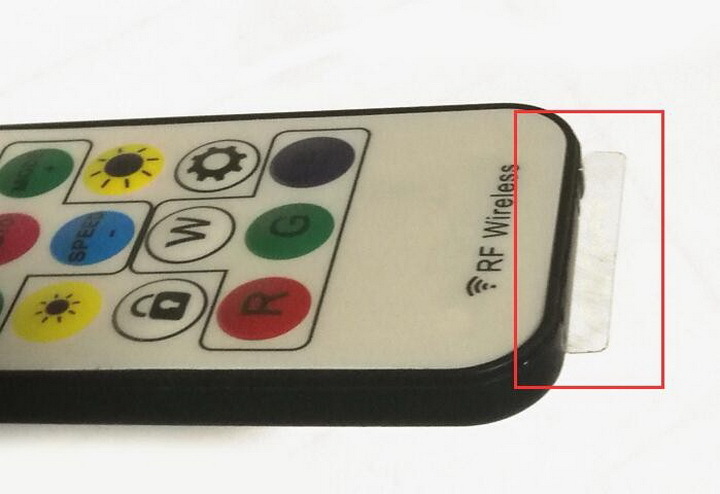 Q: Why isn't my wireless IR remote working? 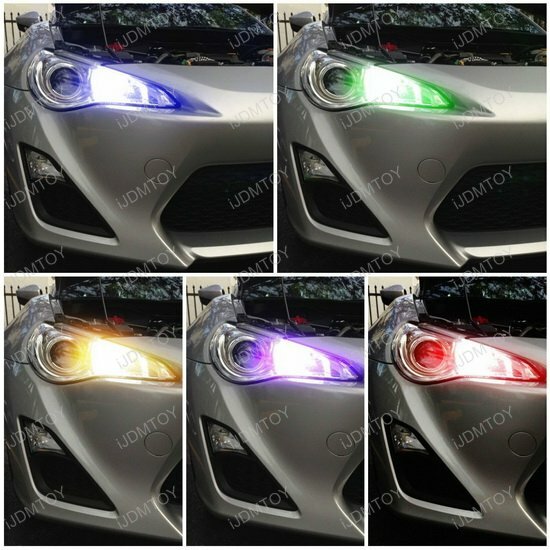 Now you can change your stock daytime running lights to a trendy multi-color RGB LED look! Previously, the only upgrade you could use for your stock daytime running lights was a plain solid LED, but now you have the option of driving with a solid color during the day and showing off your RGB LED daytime running lights on high beam during nighttime car meets. 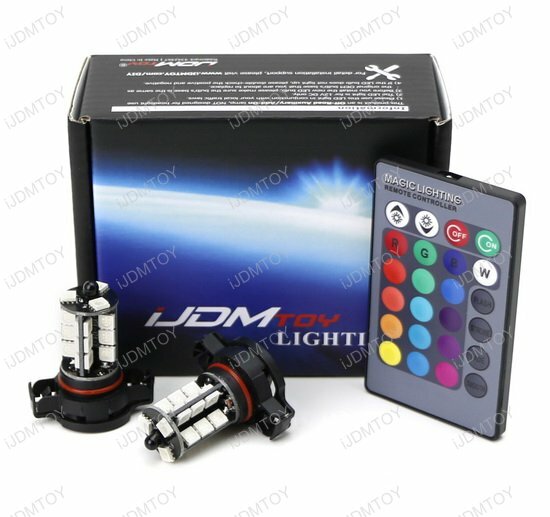 This is a set of 27-SMD multi-color RGB 9005, H11, 5202 or P13W LED bulbs on high beam as daytime running lights with a special new IR remote to change from seven colors (red green blue cyan magenta yellow white) and great colorSHIFT flash/color patterns so that your DRL can explode to any color combo imaginable. 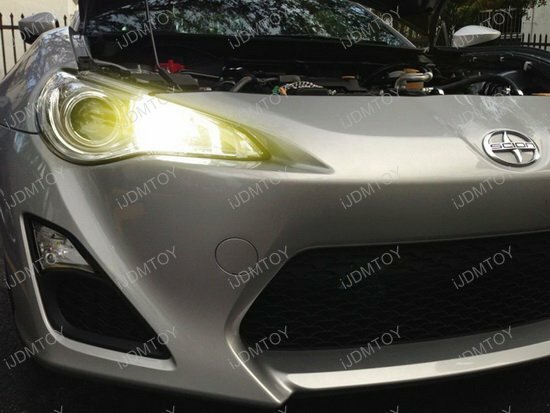 You can drive with the street legal color of xenon white during the day and then change up the colors as you choose when you take your car to shows or off-road. 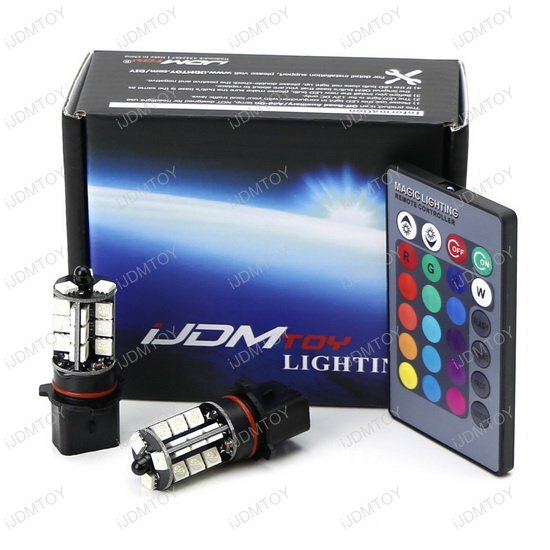 (To use the IR remote, just like a TV remote, you need to point the remote directly to the bulb for the color changing). 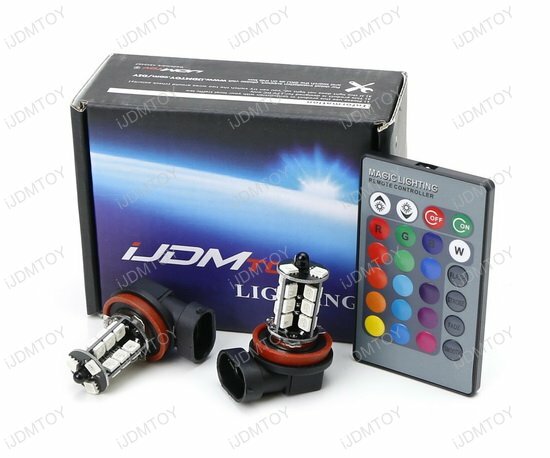 Please note: This pair of RGB LED fog light bulbs is designed for accent lighting and show purposes; the brightness is secondary to its primary function of color-shifting.